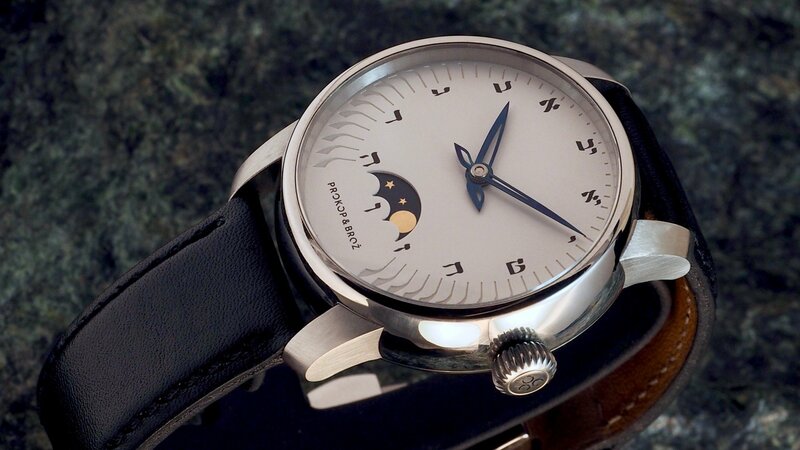 Mechanical watch with manual winding - unique not only in its concept, but mainly because of its module with moon phase and the backwards moving hands. The chosen name „Alef“ does not need to be explained to insiders, however, for others it may be interesting to know that „Alef“ is the name of the rst letter of the Hebrew alphabet and represents at the same time the rst hour. 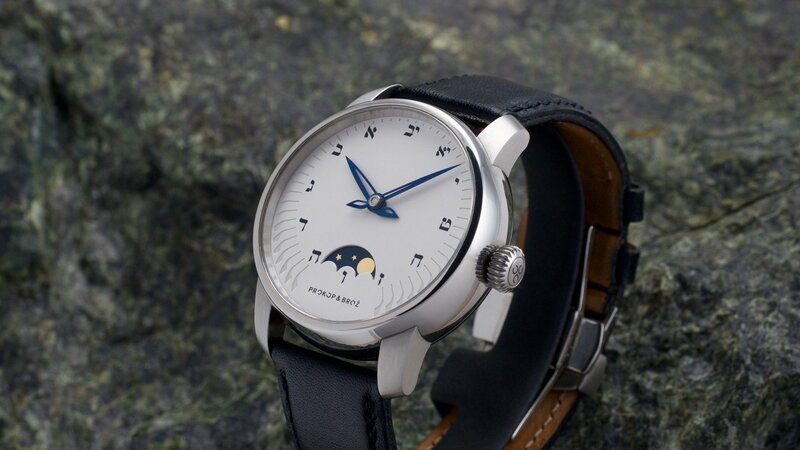 To mark hours, Jewish watches use letters of the alphabet and not numbers as is usual in our culture. The relationship to the Arab character „Alif“, the Syrian „Aláf“ or the generally familiar Greek letter „Alpha“ is of course not by accident, not least because of the intercultural in uences in that region.